LASIK laser changes the curvature of cornea and normalize the power of eye. So eliminate glasses. Before procedure various tests like aberrometry, pachymetry, pentacam, topography are done as per need. Anyone having power from -10.0 to +6.0 can undergo LASIK provided thickness of cornea is sufficient. Upto 5 D of astigmatism[ cylinder] can also undergo for procedure. Usually after 18 years it is advisable to do LASIK . But power should be stable for last 6 months. In some special condition it can be done in younger age also. It is extremely safe when proper assessment being done before procedure. Power don�t come again if proper assessment has been done with proper counselling. 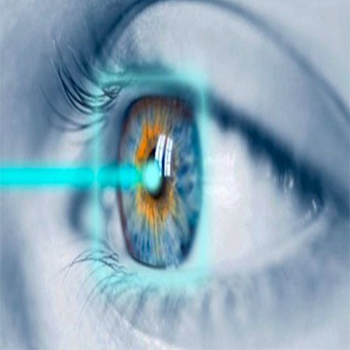 Wavefront guided customized LASIK also know as C-LASIK is preferable were each eye is treated with more accuracy. Also there will be more sharpness and better contrast with this procedure. Femto laser assisted LASIK can be done where no blade is used in the procedure. It increases precision and safety margin. Also known as blade-less LASIK. Patients having high power or thin cornea can undergo invasive procedure like ICL[ implantable collamer lens]. But LASIK is always first choice.